If you’re lucky enough to be Irish, then you might be lucky enough to spend St. Patrick’s Day in Dublin Ireland this year. The American St. Patrick’s Day celebration is a little different than how it is celebrated in Ireland. While the holiday here is known for drinking beer and dressing up head to toe in green, the Irish take their tradition even further. Here’s a little taste of what you can expect and why you should visit Dublin during one of their most beloved holiday! You haven’t been to Dublin if you haven’t been to the Temple Bar. This bar is one of the most popular pubs located in the heart of Dublin. If you are looking for a big beer garden, classic flagstone flooring, a wealth of tourism knowledge and a place to get your drink on, this is the place for you. Being there on St. Patrick’s will not disappoint. Expect live music, crowds of friendly faces, an overflow of beer and a variety of Whiskey to choose from. If you want to escape the St. Patrick’s Day madness and learn more about this holiday, while everyone is partying in the pubs and streets, take the opportunity to check out the local landmarks that celebrate the history of Ireland. Located in the heart of St. James’s Gate Brewery, The Guinness Stonehouse is Ireland’s most popular tourist attraction. It’s the home of the best beer, the heart of Dublin, and an unforgettable start to your St. Patrick’s Day. You will begin at the bottom of the world’s largest pint glass and continue up through seven floors filled with interactive experiences that combines their brewing heritage with Ireland’s rich history. Once you reach the top, you will be rewarded with a nice cold pint in their world famous rooftop Gravity Bar. The St. Patrick’s Day Parade weaves its way through the heart of the capital city in a sea of color. Watch in awe as Ireland’s finest street-theater companies perform in this traditional parade, joined by musical guests from around the world, including France, Germany, Switzerland and the USA. Prepare to see uplifting rhythms during this spectacular march. Spending St. Patrick’s Day in the homeland where it started sounds pretty perfect right? Cross it off your bucket list and visit Dublin this year! 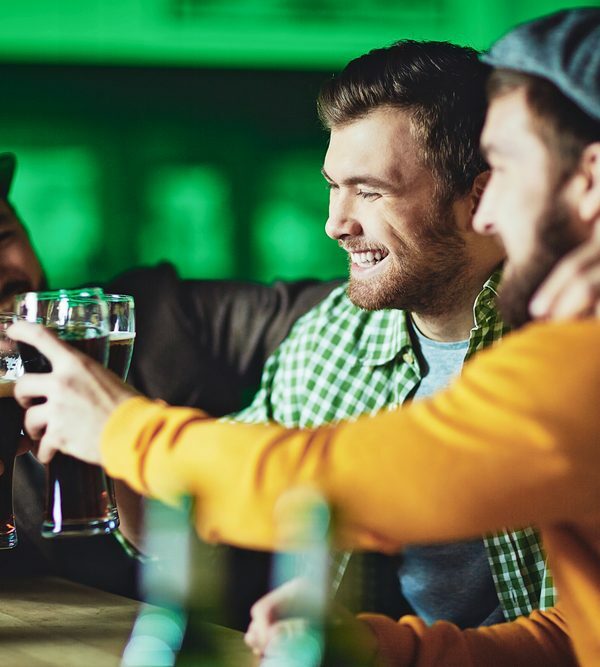 Whether you choose to celebrate by stumbling in and out of their best pubs, or soaking up Irish traditions and embracing their history, you will successfully leave the country with stories about a St. Patrick’s Day that you will never forget!